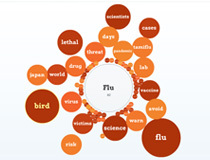 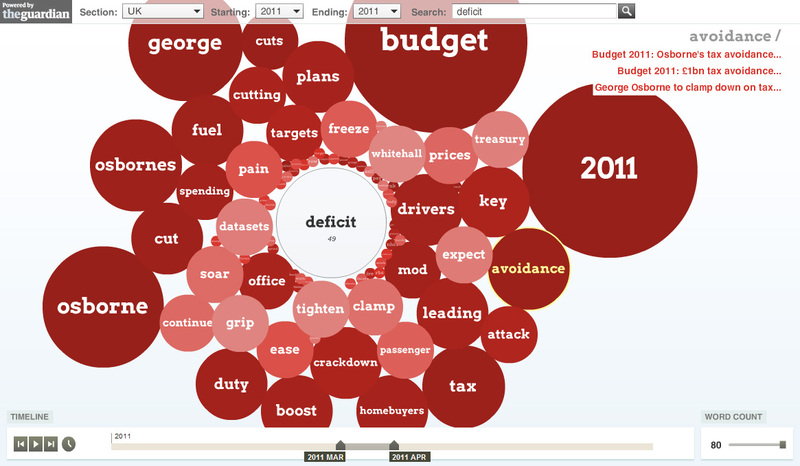 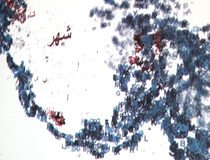 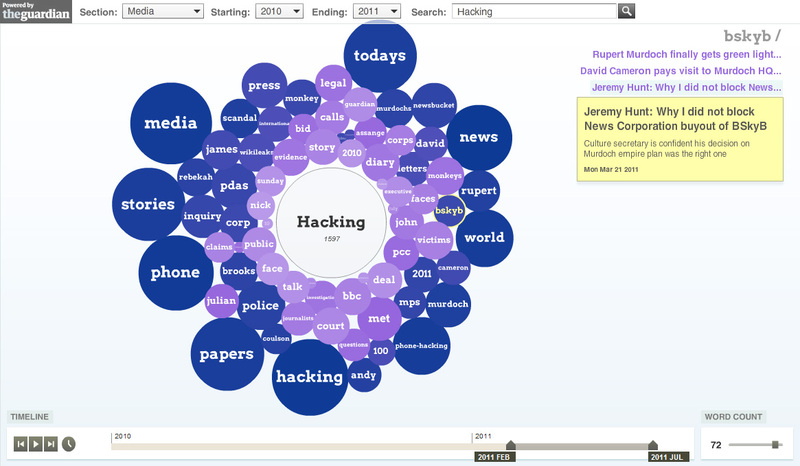 News Cloud is a news archive visualisation that was created for DataArt. 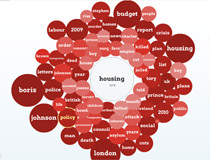 It shows how the themes relating to a search term fluctuate over time – a temporal tag cloud. 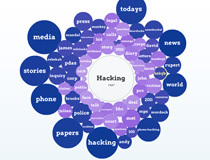 Each term is represented as a circle that changes scale in proportion to its occurrence in news headlines over a particular timeframe. 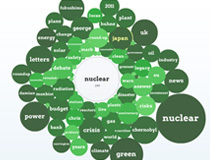 As the time slider changes the circles grow and shrink giving a picture of which terms are coming to prominence at any one time. 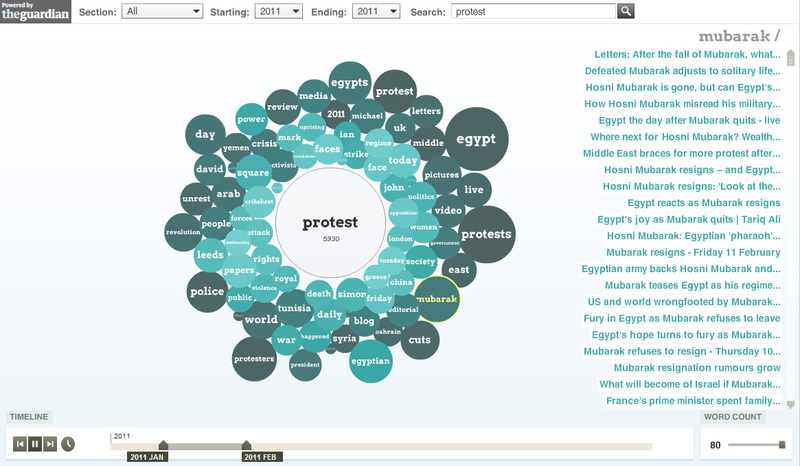 To see the overall tag cloud, you can extend the time slider to the full search period. 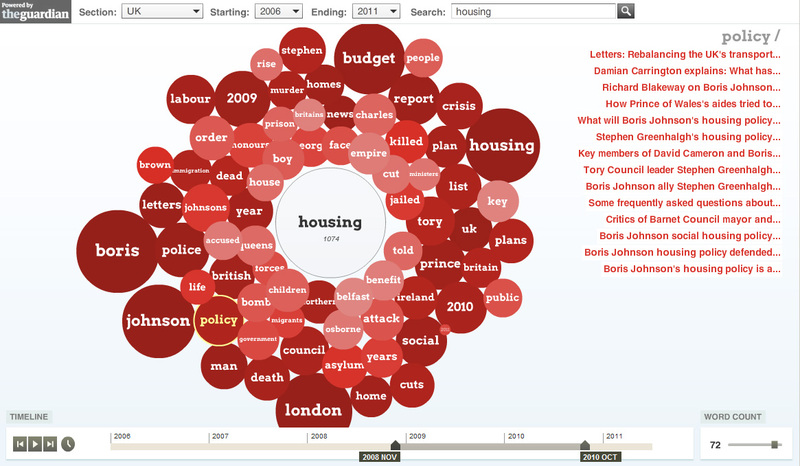 For more detail you can click on a term circle to see the list of stories where it appears. 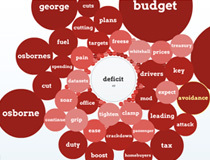 The headlines link through to the online articles. 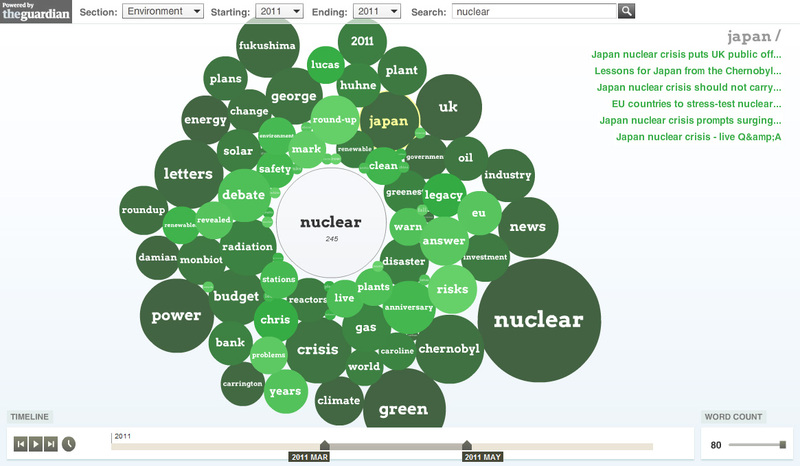 A good example of the temporal aspect of the visualisation is the search oil price under world news. 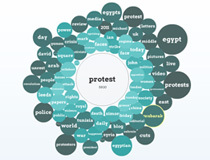 You can the track the relative prominence of ‘saudi’, ‘iraq’, ’russia’, ’china’, ’iran’, and ’libya’ over the last decade. 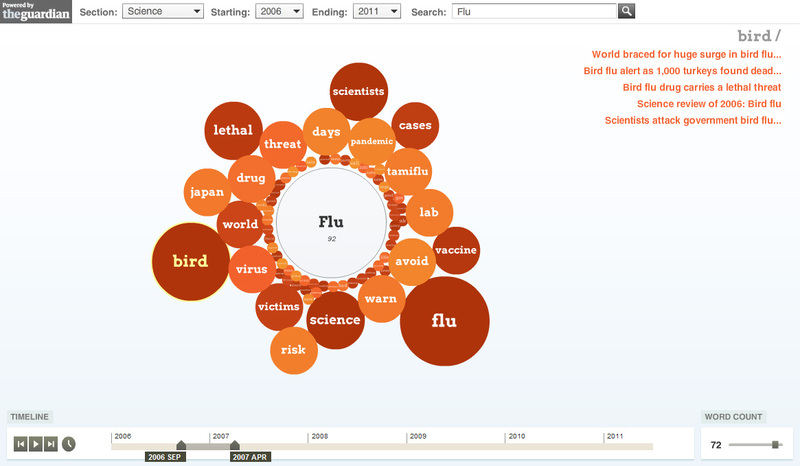 There are two versions of the project: BBC Science News, and Guardian Open Platform.